Phonograph cartridge suited for both scratching and mixing. Phonograph cartridge suited for both scratching and mixing. Features include very high skip resistance, high output, low record wear, and clarity throughout the frequency range. This highly acclaimed favorite is an ideal choice for all-purpose DJ use. The SC35C is our standard DJ needle for all applications. 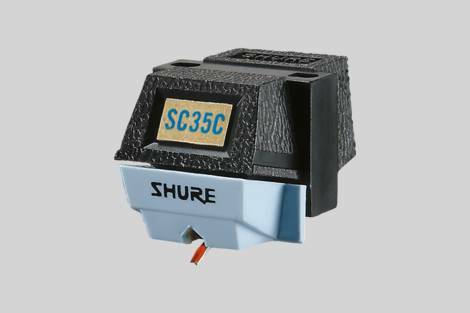 With a tracking force range of 4 to 5 grams, the SC35C provides for significant skip resistance. Sharing the Shure versatile Type I cantilever design with the M35S and M35X, the SC35C offers high-definition sound reproduction at all audible frequencies.